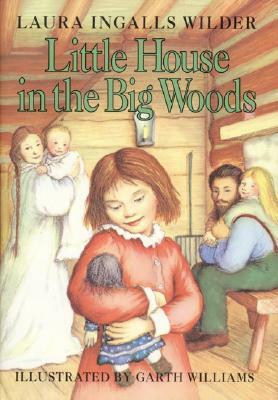 Based on the real-life adventures of Laura Ingalls Wilder, Little House in the Big Woods is the first book in the award-winning Little House series, which has captivated generations of readers. This edition features the classic black-and-white artwork from Garth Williams. Pioneer life isn’t easy for the Ingalls family, since they must grow or catch all their own food as they get ready for the cold winter. But they make the best of every tough situation. They celebrate Christmas with homemade toys and treats, do their spring planting, bring in the harvest in the fall, and make their first trip into town. And every night, safe and warm in their little house, the sound of Pa’s fiddle lulls Laura and her sisters into sleep.